Joachim banishes Brandan to prison island of Hyogo. His infant son, Prince Airyn disappears from his cradle. A chain of events is set in motion that will pit brother against brother, friend against friend, parents against children as Brandan and Joachim struggle for control of their sanity and their very lives. With Brandan declared dead and his son missing Joachim sinks into despair and anger, where those close to him fear he may never return. 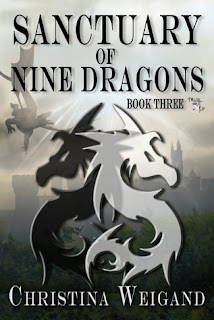 Is Brandan really dead and if he is, who is manipulating the Mantion and enemies of Crato? 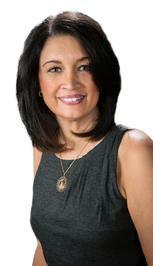 Christina Weigand’s a writer, wife, and mother of three grown children and a middle school daughter. She is also Nana to three granddaughters. She lives with her husband and youngest daughter in Pennsylvania, returning there after a short sabbatical in Washington. 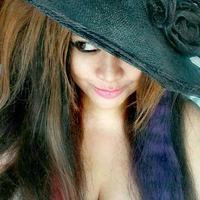 Currently, she’s working on fantasy novels and inspirational writing. Through her writing, she strives to share the Word of God and help people young and old to realize the love and mercy He has for everyone. When she’s not writing, she’s active in her local Church as a, Bible Study, , volunteering at her daughter’s school helping the children develop a love for reading and writing. Jesus fills her home with love as she shares Him through her writing. King Brandan: King Brandan returns to the Palace of the Twelve Pillars even more cocky and sure of his place than when he disappeared. He makes some bold, selfish moves that will get him banished from the palace. We see even more of his disdain for his brother and wife. As he travels on the prison ship the beginnings of a different perspective begin to emerge in his field of vision, but when his ship is wrecked and he is presumed dead Sidramah is able to fully infiltrate his person and a Brandan who is wholly evil emerges. He is worse than Waldrom he makes Waldrom look like a nice person as he ravages the lands starting with the Mantion, leaving a trail of death and destruction in his wake. King Joachim: The kidnapping of his infant son and the disappearance of his brother finally pushes Joachim over the edge. As he sinks into despair he rejects Asha and his family. He embarks on a journey to find his son in spite of the odds against a successful journey. He rejects Asha and his family swearing that he can and will do it on his own, leaving Maeve to rule the country. My publisher MuseItUp has cover designers working for them. Charlotte Volnek was the wonderful artist that designed the cover for Sanctuary of Nine Dragons. She stepped in when the artist of the first two books left the company and did a wonderful job of matching the cover to the first two books in the series. Shortly after I signed the contract I received a Cover Art form and an Author Info sheet. With these two pages the publisher and artist were able to create a cover for the book. Once it was designed then it was sent to me to approve or make suggestions for changes. I was amazed at how well the artists were able to capture the essence of the story without actually reading the book. That’s a hard one to nail down. A few times I have been fortunate enough to go on a writer’s retreat. While there the writer’s stayed in cabins in the woods and when writing we had the choice to write outside in nature or inside one of the many buildings that were on the properties. I love to write outdoors in the woods or in a park and unfortunately don’t get to do it very often, so I settle for my Dragon’s Lair or if I’m lucky a nearby Starbucks or library. I started out wanting to be a nurse, but after seeing the movie Jaws and having nightmares I decided that it wasn’t for me. My next idea was a journalist. I always enjoyed writing and thought that it would be a good fit for me. I really have no preference and will read either one depending on what is available. Teleporting and Reading minds. So I could get to another place quickly and so I could know what someone is really thinking. Ben-Hur by Lew Wallace, Shivers by Heather Beck and Angels and Patriots by Salina Baker. In 1961, five little girls moved into a suburban neighborhood and became inseparable, lifelong friends. They called themselves the ‘Honey Hill Girls,’ named after the street on which they lived. As teenagers they shared one another’s ambitions and dreams, secrets and heartaches. Now, more than thirty years later, they remain devoted and loyal, supporting each other through triumphs and sorrows. 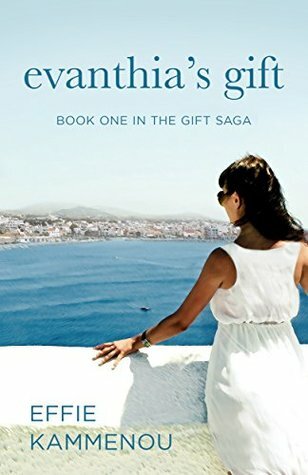 Evanthia's Gift follows the life of Sophia Giannakos. 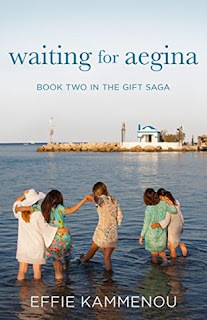 In Waiting for Aegina the saga continues from the perspectives of Sophia and her friends as the story drifts back and forth in time, filling in the gaps as the women grow to adulthood. Naive teenage ideals are later challenged by harsh realities, as each of their lives takes unexpected turns. Now nearing their fiftieth year, Sophia, Demi, Amy, Mindy and Donna stand together through life-altering obstacles while they try to regain the lighthearted optimism of their youth. In the first book of the saga, Evanthia’s Gift, the main character, Sophia, goes from her teens to adulthood. During this span of time, the reader is introduced to her four childhood friends, who she has remained close to. In Waiting for Aegina, all five of these women make up an ensemble of main characters, with Sophia being in the center of it all. Each one will have life choices to make and struggles to overcome. Sophia’s happily ever after is challenged by revelations and events from the past she needs to come to terms with. Demi battles her mother-in-law for her husband’s attention, and wonders if his affection for her has dimmed. Amy’s past comes back to haunt her, threatening her marriage and career. Donna thought she had the perfect life when she married her high school sweetheart. But his drinking, insensitivity and cruelty to a son who doesn’t live up to his standards, sends her family’s life spiraling down a tragic road. Mindy lost the love of her life when she chose a blossoming and successful career as a dress designer over the demands of her lover. Wondering if she’d made a mistake, she searches for love and thinks she’s found it with a possessive and volatile man. What was your inspiration behind Waiting for Aegina? I knew I wanted to make this saga a trilogy. The first book was partly inspired by the death of my mother. Sophia’s life was inspired by the time period in which I grew up, and this is where Sophia’s friends came into the plot. Amy and Mindy were based on my own speculation of the direction a couple of my friends might have taken with their lives. They didn’t, though, and I know this because I’m still friends with both of them. It was my ‘what if they had gone on to do what I thought they would when we were in high school?’ theory. The beginning of the book happens right after the five women leave their thirtieth school reunion. I’d reconnected with a large group of friends at my own and, because of that, I wanted to write a story about lifelong friends and the loyalty they shared with one another. 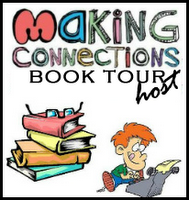 My cover designer is Deborah Bradseth of Tugboat Designs. I commissioned a photographer in Greece to shoot the cover photo. I was very specific about what I wanted—five grown women on a Greek beach together. The photo had to convey the closeness of their relationship and the lightness of the moment. Ioanna Chatzidiakou captured the moment exactly as I had imagined it. My process is to simply sit down and write. I have a general idea in my head of the story. The details come as I begin to develop the characters and the plot. That’s usually when my research on the finer details begin. I’m more concerned about getting the story out of my head the first go around. After that, I go back several times and rewrite and refine before handing it over to my editor. Where I write or the ideal spot to write? It’s a running joke in my home. We have a home office, which I’ve completely monopolized. God forbid my husband tells me he’s working from home! I keep telling my family I’d like to write the next book on a remote Greek island in a little house by the sea, all alone and undisturbed. Yes, I’d miss them, but when I’m at the computer I don’t come up for air! The best advice was to start writing. Don’t worry about the grammar or sentence structure. After the story is down on paper (or computer) go back and make it sing! I wanted to be an actor. I don’t remember ever saying I wanted to do anything else. I went to college as a theater major. I didn’t have the drive and nerve I needed to pound the payment and take all the rejection. Today, although it’s still hard to break in, the opportunities are greater and with social media it’s easier to make connections. I would want to have the ability to speak every language. I love to travel and I also enjoy speaking with people from different countries and cultures. I would like to be able to converse in each one of their native tongues. I am very fortunate to have an advanced readers copy of The Hallowed by Jaci Miller. 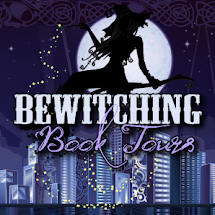 It’s the second book in a paranormal trilogy. I loved the first book and the second is just as compelling. It is 741. After subduing the pagan religions in the east, halting the march of Islam in the west, and conquering the continent for the Merovingian kings, mayor of the palace Charles the Hammer now wants the throne. Only one thing stands in his way - he's dying. With an AB degree in history from Dartmouth College, Gleason brings a strong understanding of what events shaped the past and when, but writes historical-fiction to discover why. Gleason lives in Virginia with his wife Mary Margaret. They have three sons. I once saw an interview with John Kennedy where he was asked what it was like to grow up in the White House. He paused before saying that to everyone else, Jack Kennedy was the president of Camelot and his mother was “Jackie O.” a cultural icon. He said that to him they were just, “Mom and Dad.” I have always wondered about the family dynamics of people of power. What happens to a family after succession? What happens to brothers and sisters when it comes to civil war? How do they navigate political versus personal decisions? What happens to their relationships, their love for each other? That’s how I approached Anvil of God. Historically, it is about what happens to France after the death of their most powerful warlord, Charles Martel. But, I wanted to write about it from a personal perspective. Charles wanted to usurp the throne from the Merovingian kings but ran out of time. Just before he died, he divided the kingdom between his three sons: Carloman, Pippin and Gripho. The only thing that reigned after his death, however, was chaos. Why did his sons go to war? What led them to fight? Did it erupt all at once or was it little things that built towards a conflagration? Central to the two story arcs in the book are Charles’ widow (and second wife) Sunnichild and his daughter Hiltrude. Secretly a pagan, Sunni raises her only son in her faith and hopes one day he will legitimize their religion in the face of the Church’s growing dominance. Trudi, is responsible for what has been called "the scandal of the eighth century.” Betrothed to a Lombard Prince, she left her father’s court in the dead of night to follow her heart with a Bavarian rebel. Suffice it to say that neither of these two decisions went over very well with the rest of the family. They have to be human. Too often, authors define their lead characters as almost superhuman. I like to see their flaws and passions and foibles. 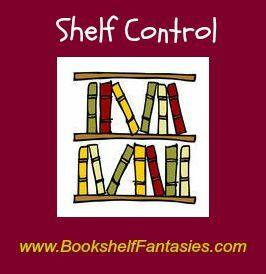 They also have to have a strong perspective so that as their decisions unfold, they make sense to the reader and add layers to the personalities. 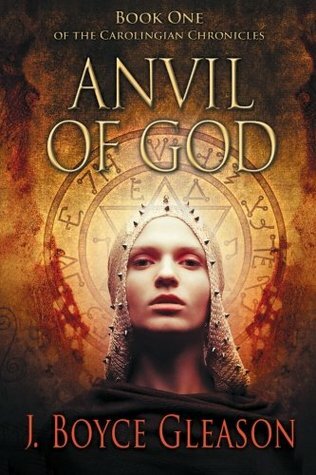 There are no “good” and “evil” characters in Anvil of God. There are people who make decisions they think are the right decisions based on their perspectives. Jame Clavell, Herman Wouk, Mitchner. All the time. I look for conflict. Or things we can’t explain. I like to say we know what happened in history, I like to write to find out why. Don’t stop. Write every day - even for an hour - even if it’s garbage. Don’t stop. Read, play videogames, go out with friends. The “Expanse” series by James S. A. Corey. Although I write historical fiction, I tend to read science fiction. It lets my mind wander. The story continues in the 1970’s as Dean and Demi Papadakis, and Sophia Giannakos attempt to negotiate between two cultures. Now Greek-American teenagers, Sophia and Dean, who have shared a special connection since childhood, become lovers. Sophia is shattered when Dean rebels against the pressure his father places on him to uphold his Greek heritage and hides his feelings for her. When he pulls away from his family, culture and ultimately his love for her, Sophia is left with no choice but to find a life different from the one she’d hoped for. EVANTHIA’S GIFT is a multigenerational love story spanning fifty years and crossing two continents, chronicling the lives that unify two families. Evanthia’s Gift is a love story and family saga that spans decades. For this reason, I’d decided to split it into two parts. Part I begins in 1956 when Anastacia finds her husband in bed with another woman. She immediately separates from him and, soon after, discovers she’s pregnant. In that era, a woman might have stayed with her husband, maybe looked the other way, or tried to work it out for the sake of her child. But Anastacia (Ana) decides to raise her child on her own with the help of family and good friends by her side. Enter Alexandros, a past acquaintance from NYU who had always been smitten with her. Through mutual friends, they reconnect, and this time he is determined to win her heart. Alexandros (Alex) is the best of men. He’s kind, loving and a true gentleman. Alex could have been bitter and hateful, having come from a tragic past, but the opposite was true. He knew how delicate the balance was between life and death, and he valued it. His entire family had been brutally executed in their home by the Nazis for working with the resistance. Part II takes a leap forward to 1970 when Ana’s daughter, Sophia, enters high school. There’s a definitive change in tone that is very evident. The way in which Ana and Alex spoke to one another and to their friends and family is quite different than how this younger generation relate to each other. They’re more casual, forthcoming and sometimes raw. Sophia is very much like her mother. She and Ana are polite, poised and levelheaded in many ways. But Sophia is only fourteen at the start of Part II and she is quite idealistic when it comes to one young man. His full name is Konstantino, but she’s called him Dino since she was a baby. Dean, the nickname he prefers, is the son of Ana’s best friends and three years Sophia’s senior. Dean struggles with his Greek heritage, mainly because it is shoved down his throat. His rebellious streak doesn’t help matters either. He fights his feelings for Sophia for as long as he can because he’s certain a relationship with his parent’s best friend’s daughter, and especially a Greek one, would put too much pressure on him. Dean’s stubbornness is his ruination, but at eighteen, mistakes happen. The story of Dean and Sophia continues into their forties, and Ana and Alex stay integral parts of the plot as well. A good lead character must be someone who is relatable in some way to the reader. They might be someone they either want to emulate or want to love. They might also be a personality who carries the same flaws as the reader. A strong character should have depth. A heroine or hero doesn’t need to be perfect in all things. That’s simply not believable. I’ve been asked this question several times and, honestly, I don’t have a good answer. I admire many authors for their stories or for the beauty of their writing, but I don’t feel influenced by it. I think each author has his own voice and what comes out on paper is from personal experience and perspective. The closest answer that I can give you is John Steinbeck. East of Eden is one of my favorite novels. The sense of morality and right from wrong throughout the story drew me in, and it’s a theme within my book as well. I did quite a lot of research for Evanthia’s Gift. Many of the events in the book are inspired by stories shared by family members my entire life. Even though I’d heard them often, the details had to be researched. Memories can be inaccurate, especially when the recollection is from a child’s eye. For example, my mother was a ten-year-old girl in Athens during WWII during the German occupation. I took what she told me and I researched the timeline and events. Her part was less historical and more personal, sharing with me the affect it had on her and her family. I also researched the deportation of the Jews in Thessaloniki. Alex’s family fought in the resistance. The result from his family’s sacrifice affects situations not only in Evanthia’s Gift, but also in the other two books in the trilogy. Then there were other little details from my own memory that had to be verified. I mention real places throughout the book. Alex and his friend, Stavros, are professors at Stonybrook University. I had to find out if it even existed in 1962 when they began working there. The best advice I’d ever received was to simply sit down and write. Let it all spill out of my head and don’t worry how good it was, or if the grammar was correct. Tell the story you wanted to tell it. Then … go back and fix it. Make it sing! I would want to have the ability to speak every language. I think it would be amazing to be able to communicate with everyone and to enter any country and be able to speak their language. Have you ever seen someone who didn’t speak English and felt a little lost? Then, someone approaches them and speaks their language and their face lights up! It’s a beautiful thing. Sometimes, at my day job, this happens. I speak Greek and my co-worker speaks Italian and can get by with Spanish. We had a Polish woman come by a few weeks ago and it was so difficult. We felt bad. We were trying to come up with a common language to speak. I just finished The Man in The Black Suit, Sylvain Reynard’s latest book. I love everything he writes. I just started reading a book from another Greek American author called Wings of Wax. I’m really enjoying it. It’s about a young man trying to find his own identity. Not only with his heritage but also with who he is as a man. He’s a bit complex. He has some health issues and a couple of phobias and hang-ups. If you were an animal, what would you be? This is the question Blaise, Ash and Dinah unexpectedly stumble upon during the summer holidays when they enter a strange internet café. A mysterious woman asks them to take an online test to discover what animal most closely matches their own personality. They are happy to oblige. Online tests are always fun and this one comes with its own special perks. This fantasy novel from Sarah Brownlee is a thrill ride of twists and turns, ready to surprise at every corner and sure to delight both children and adults alike. 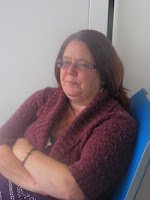 Sarah Brownlee is a Young Adult and Children's author based in London, England. Her debut novel 'How the Wolf Lost Her Heart' is a YA Paranormal Romance set in a grim, futuristic London where thugs and criminals run the city and Morphers (people who can transform into their spirit animal) exist. Its sequel, YA Fantasy Dystopian 'How the Tiger Faced His Challenge' was released in October 2015 and centres around a city at the brink of civil war. 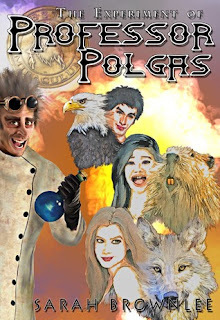 In 2016, she released her first children's novel 'The Experiment of Professor Polgas' which tells the story of how Morphers came into existence. When Sarah is not writing, she can usually be found walking dogs, battling the forces of darkness and dreaming of living in the beautiful English countryside. Blaise, Ash and Dinah are thirteen and fourteen years old. Blaise and Ash are brother and sister; Dinah is Blaise's best friend. Each is able to transform into their spirit animal as the story progresses and they all have their own quirks and shortcomings. Blaise is pretty feisty and stubborn at times; she is able to transform into a wolf and like the wolf, she is loyal, bold and would do anything to protect her loved ones. Dinah is sweet, kind, sincere and very often the water to Blaise's fire; like her spirit animal, the beaver, she is a homebody and loves to take care of others. Meanwhile, Ash is smart, sarcastic and more level-headed than the other two; like his spirit animal, the eagle, he is sharp and insightful with an uncanny knack for finding solutions to tricky problems. My cover design backstory is a little unusual in comparison to other authors. My first novel 'How the Wolf Lost Her Heart' was designed by John Muriel Photography. The second 'How the Tiger Faced His Challenge' was designed by myself; and 'The Experiment of Professor Polgas' was by Luke Ahearn at Creative Covers. I can honestly say, hand on heart, that designing my own cover was a process that didn't exactly thrill me to bits; oh, I was very proud of the fact I actually did it after many trial and error hours of frustration; but from now on, I'm leaving it to the pros! A quiet, secluded cafe with my trusty laptop, a green tea on one side and a cheese and ham toastie on the other. An author or a vet. The Red Book by Carl Jung. Truly brilliant. When Curva Peligrosa arrives in Weed, Alberta, after a twenty-year trek on the Old North Trail from southern Mexico, she stops its residents in their tracks. With a parrot on each shoulder, a glittering gold tooth, and a wicked trigger finger, she is unlike anything they have ever seen before. Curva is ready to settle down, but are the inhabitants of Weed ready for her? Possessed of an insatiable appetite for life and love, Curva’s infectious energy galvanizes the townspeople, turning their staid world upside down with her exotic elixirs and unbridled ways. Toss in an unscrupulous americano developer and a one-eyed Blackfoot chief, stir them all together in a tornado’s tempestuous tumult, and the town of Weed will never be the same again. A lyrical account of one woman’s journey and the unexpected effects it has on the people around her, Curva Peligrosa pulses with the magic at the heart and soul of life. 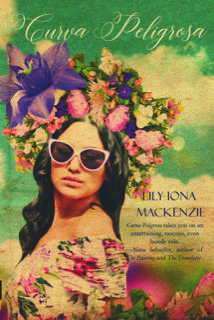 A Canadian by birth, a high school dropout, and a mother at 17, Lily Iona MacKenzie has taken a circuitous path to becoming a published writer. She’s worked as a stock girl, a long distance operator, and a secretary (Bechtel Corp sponsored her into the States). She also was a cocktail waitress at San Francisco’s Fairmont Hotel, became the first woman to work on the SF docks and almost got her legs broken, founded and managed a homeless shelter in Marin County, co-created The Story Shoppe, a weekly radio program for children, and eventually earned two Master’s degrees, one in Creative Writing and the other in the Humanities. 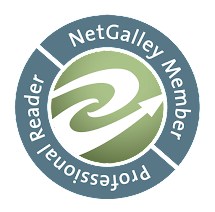 Her reviews, interviews, short fiction, poetry, travel pieces, essays, and memoir have appeared in over 155 American and Canadian venues. Fling! was published in 2015. Curva Peligrosa, another novel, launched in 2017. Freefall: A Divine Comedy will be released in 2018. Her poetry collection All This was published in 2011. She taught rhetoric for over 30 years at the University of San Francisco (USF) and currently teaches creative writing at USF’s Fromm Institute of Lifelong Learning. She also blogs at lilyionamackenzie.wordpress.com. Curva, of course, is the main character in Curva Peligrosa. Adventurous and curious from childhood, she’s from Southern Mexico originally and, after traveling for twenty years along the Old North Trail (see follow explanation of the trail later in this interview), she ends up in the fictional town of Weed, Alberta, Canada. She has no relationship to anyone I know, living or dead and reminds me of the goddess Athena who was born full blown from her father Zeus’s head. Over six feet tall, a sharp shooter, possessed of magical powers, adventurous, amorous, sexual, and fecund, she has the greenest of thumbs, creating a tropical habitat in an arctic clime. In no time, she turns Weed upside down, like the tornado that opens the novel—upside down morally, spiritually, culturally, sexually. Curva is the physical embodiment of the tornado that will hit Weed two years after her arrival, a storm that turns the place upside down and unearths a trove of bones of those who had lived on the land before the Weedites: Native Americans and prehistoric animals. While the tornado damages Weed and disrupts the lives of its white inhabitants, it provides an opportunity for the relatively feckless (at that point) Billie One-Eye, the putative chief of the local Blackfoot tribe. As he protects the bones and dreams of preserving them, he turns into a true chief when he creates a museum that will honor them. Curva and Billie share the book with a raft of colorful characters, borrowing from the literary tradition of South American magic realism. The character has to be believable. By that, I don't mean that s/he must fit into the realist mode. But s/he must be congruent with the world the writer is creating and embody it. For readers, this character must come alive on the page so well that we’ll follow him/her anywhere s/he takes us on the narrative journey. This is an interesting question because so many factors can influence a writing style. I’m very sensitive to the rhythms of language, and I hope that comes through in both my poetry and prose. I’m sure that taking piano lessons from a young age played a role in making me more alert to the music that words can create. I also have studied the visual arts, and that has caused me to be more alert to my surroundings, noting colors and textures and sounds. I believe those things come through in my work. But I also learn from other writers, too numerous to mention. I not only read a book for its contents but also for its style. Craft always interests me as I’m reading. How did this writer create this particular effect? What can I incorporate into my own material? That said, my strongest influence has come from Latin writers, and certain novels have had a profound effect on me at different stages of my life for various reasons. Marquez’s One Hundred Years of Solitude found me at a time when I needed a model for the magical realism approach that seems natural to me and inhabits much of my work. I LOVE that book and return to it often for inspiration. In another mode, Roberto Bolano, a Chilean writer, has also inspired me. He diverges from the more familiar magical realist vein and creates his own genre. I’ve read most of his books now, and they create a world that seems like a parallel universe to ours. He also steps beyond the usual fiction boundaries, violating our expectations of how a novel should unfold or end. I’m always entranced by his work and learning from it. I don’t research such things to get ideas, but once I’ve been impelled to write about something, I’ll do whatever necessary background preparation I need. With Curva Peligrosa, she travels the Old North Trail for 20 years, a passageway that extends from the Canadian Arctic down to the deserts of Mexico and beyond. It runs along the base of the Rocky Mountains and the Continental Divide, following a kind of shoreline between the mountains and the plains for over 3,000 miles. The Blackfoot call the Old North Trail "The Backbone of the World.” To learn more about this actual trail, I read Walter McClintock’s The Old North Trail: Life, Legends and Religion of the Blackfeet Indians, a fascinating book that not only gave me insight into the trail itself but also into the Blackfoot. One of the main characters in Curva Peligrosa is Blackfoot chief Billie One Eye. Of course, I’ve physically visited Mexico several times, but I’ve also researched that country online and in books, and I’m originally from Canada, though I now make my home in the San Francisco Bay Area. Writing is a life-long commitment. Don’t take it lightly as it requires tremendous discipline in order to succeed. But while publishing is most writers’ ultimate goal, you also must write because it’s an essential part of your being. You have to do it! Writing well also requires a life-long apprenticeship. Read everything you can by writers you admire and also by the ones you don’t respect. Sometimes the latter can be your best teachers as they will show you what not to do. Finally, learn from everyone and everything. Be attentive not only to your inner world but also to your surroundings. Explore the world in as many ways as you can so your imagination has plenty of material to work with. Finally, write. Rewrite. Write some more. Get feedback from respected editors. Revise, revise, revise. Keep writing. Persistence is key in this avocation. I’m not a great fan of seeing people suffer unnecessarily. I know that some difficulties can strengthen us and create stronger character. But whenever I turn on the TV or read the newspaper, I see too many disturbing stories of individuals going through horrendous challenges, from fires and floods to genocide and wars. If there is a creator, I think s/he erred by allowing so much pain to be part of human life. 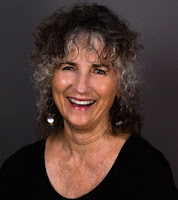 Just last night, during this holiday season, as my husband and I were walking to a restaurant on the Mendocino coast (in California), I saw a homeless woman huddled in a doorway. It was a very cold night, and she had chosen to stay in the streets because her mental illness prevents her from seeking shelter. This is unacceptable! So if I had a superpower, I would alleviate such misery. I’m passionate about all of the arts, and museums, concert halls, and theatres are my temples and my inspiration. If I had another life, I would come back as a visual artist. I love to dabble in painting and assemblage, a joyful activity for me because I don’t have expectations of myself to market what I’m creating. They’re just done for the fun of it. I also am avid about exercising every day, either at the gym or on my stationary bike at home. This time includes a variety of movement practices such as tai chi, pilates, and yoga. I’m just finishing Saul Bellow’s The Adventures of Augie March, a picaresque novel that follows the main character from childhood through young adulthood. I chose it because Bellow is such an amazing stylist. His accurate descriptions and the way he captures a character in just a few well-selected lines leave me breathless at times. Bellow truly is a writer’s writer. For those of us who are constantly trying to improve our writing craft, he’s essential to read.